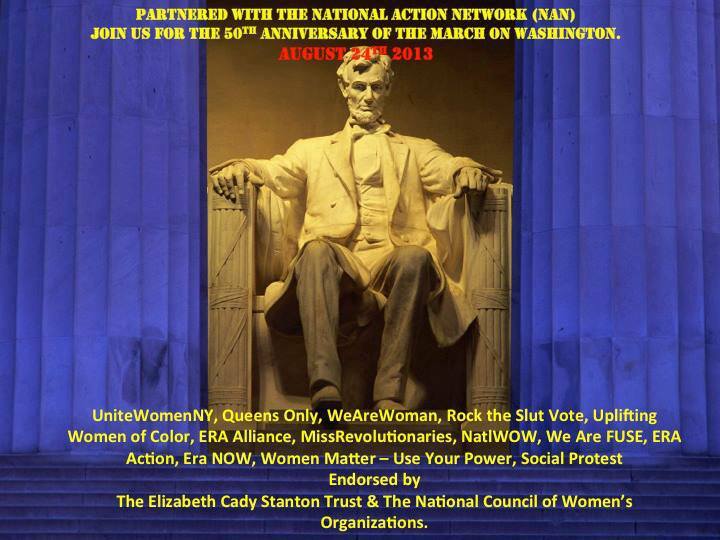 We Are Woman is thrilled and honored to be a part of an amazing coalition of women's groups!! This is the first of our many partnerships and actions. We are moving forward TOGETHER. 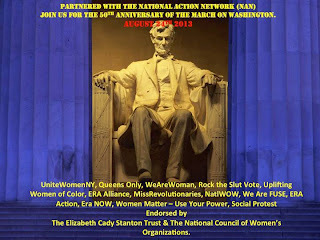 Remember - Women United Cannot Be Defeated!!! What: Gather in honor of the 50th Anniversary of Dr. Martin Luther King Jr's. march on Washington, DC. . We will stand together against the attacks on voters rights, against Stand Your Ground and racial profiling, to bring greater attention and support to the issues surrounding women's health and rights, against gun violence, unemployment and continue to raise awareness on poverty, immigration, LGBT rights and other critical issues affecting our nation.